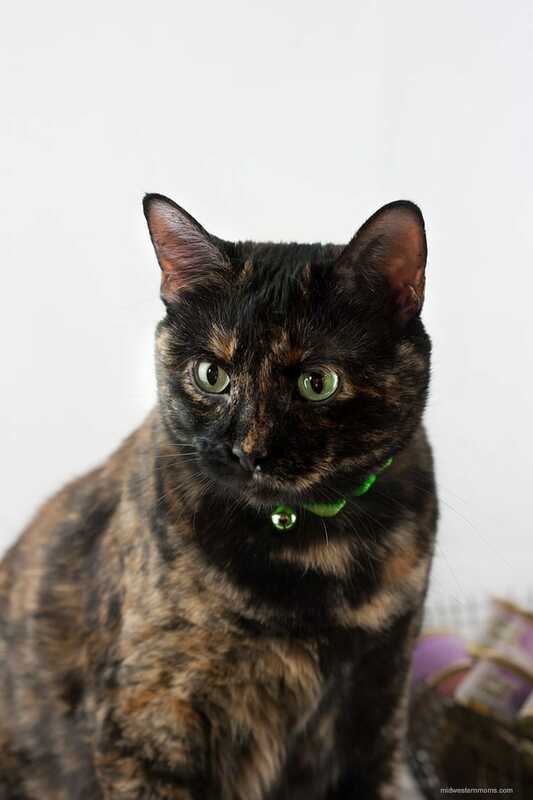 This post is sponsored by PetSmart and the BlogPaws Pet Influencer Network. I am being compensated for helping spread the word about New Low Prices on Friskies and Fancy Feast at PetSmart, but Midwestern Moms only shares information we feel is relevant to our readers. PetSmart is not responsible for the content of this article. Every morning, when I come down the stairs, Miss Kitty is telling all about her breakfast. She can be very vocal on making sure I don’t forget her can cat food breakfast. I am lucky Miss Kitty is such a good girl and has some patience when it comes to her breakfast. She was so gracious to allow me to take her picture before she ate. However, it wasn’t long before she was trying to open the cans herself. HA! She loves her Fancy Feast that much! I love being able to give Miss Kitty a variety of wet cat food to eat. She receives different flavors from day to day so she does not get bored. 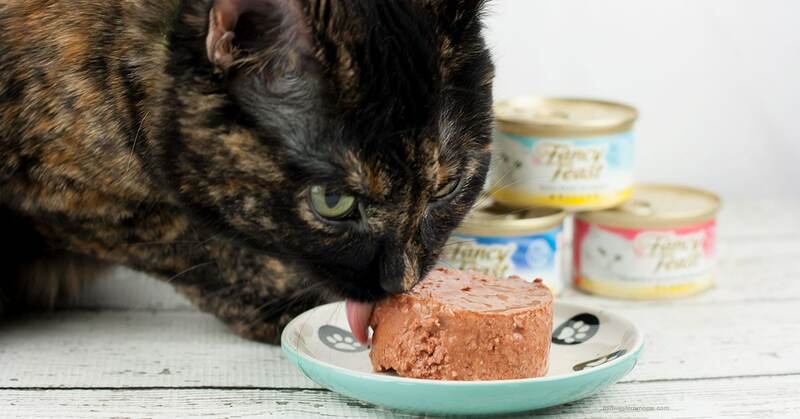 Fancy Feast allows us to give Miss Kitty such a wide variety. They have so many flavors to choose from at PetSmart®. So many, that I can basically get Miss Kitty a different flavor for each day of the month! 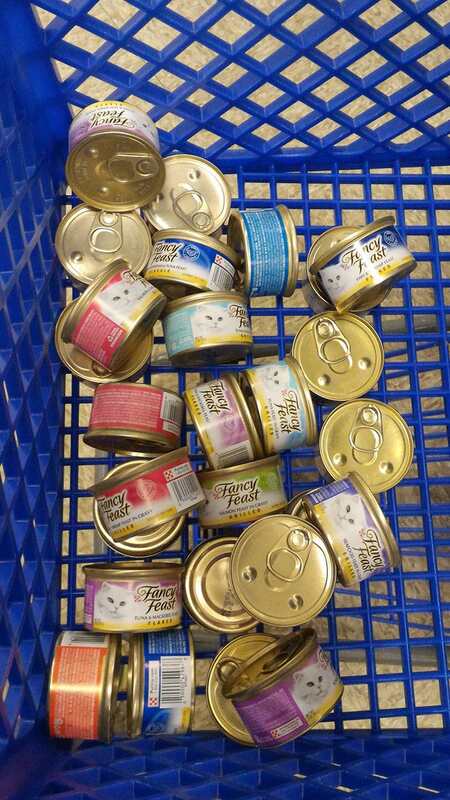 It is fun to go and pick out the different cans of wet food. It is even better when I can save money when I purchase more than 24 cans of wet cat food. With these savings, I can make one trip a month to PetSmart and stock up her dry and wet cat food! 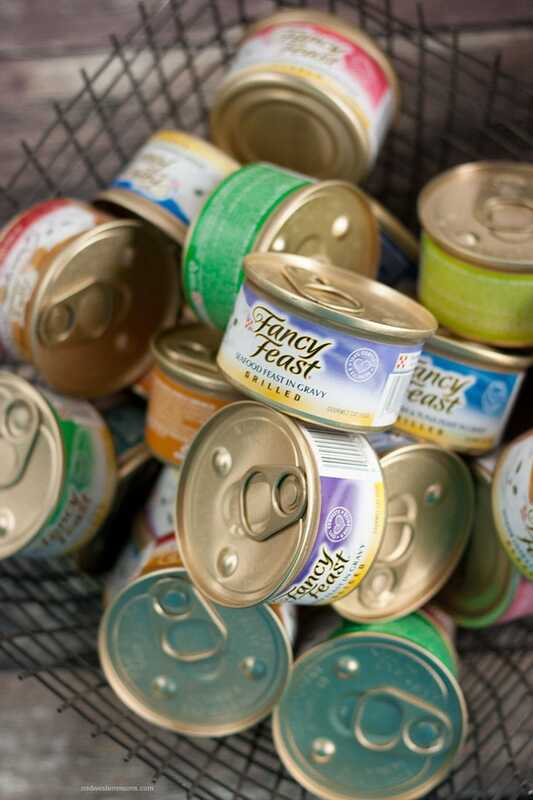 Stock up on your next visit to PetSmart with 24 or more cans of your cat’s favorite Friskies or Fancy Feast canned food and save an extra penny per can! 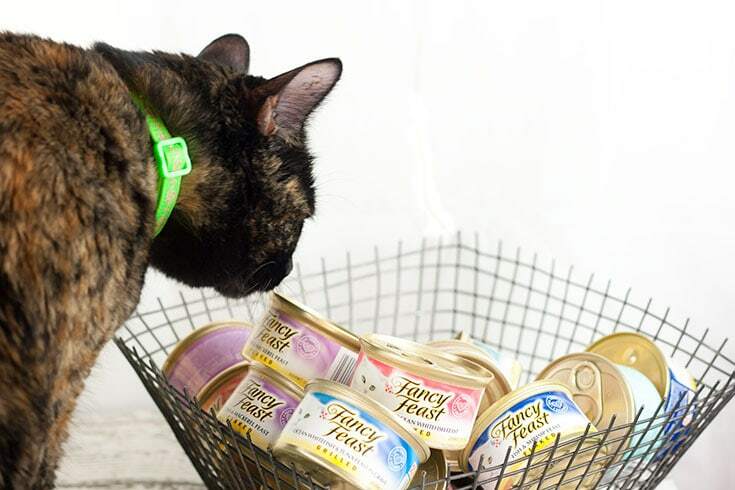 Mix and Match flavors to fit your cat’s tastes. Make sure you follow PetSmart on social media so you can stay up to date on all their deals! it is so smart to stock up once a month! Miss Kitty is lovely.